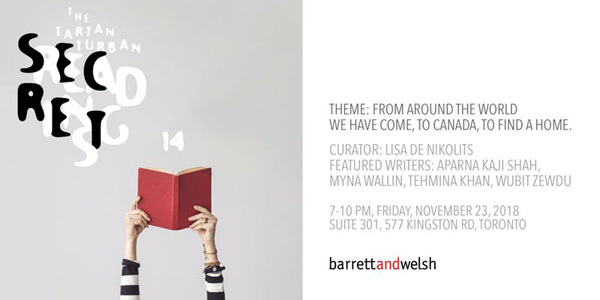 This week, we have an opportunity to hear about some outstanding Arab-Canadian women. 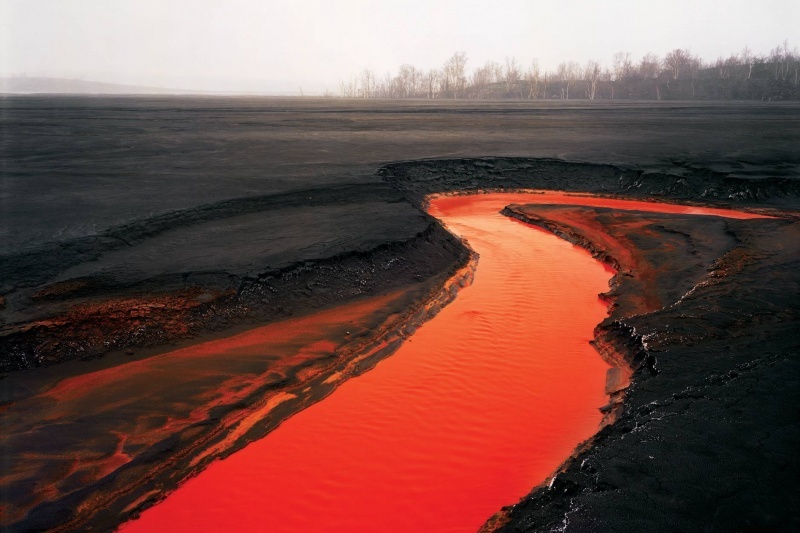 There’s a powerful 2002 film by distinguished photographer Edward Burtynsky worth seeing again. Look for music inspired by Africa and Christmas. 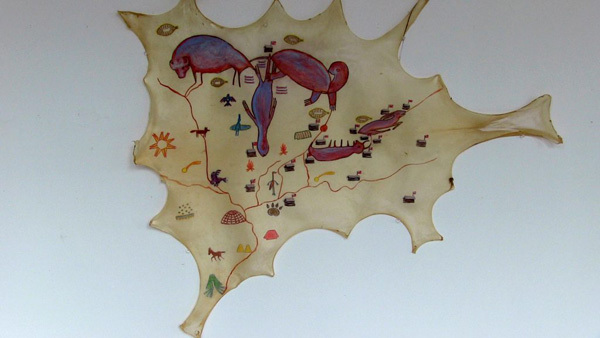 Learn more about First Nations history, try Hungarian folk dancing and experience Sikh hospitality. Enjoy outdoor ice skating and an Irish Christmas Market. Study an exhibit of Italian movie director Fellini’s own sketches. Nosh on Jewish snacks. Listen to stories of immigrants from Ethiopia and South Africa. At the Distillery Christmas Market, plan your visit to include school children singing German songs, and the arrival of the Dutch Sinterklaas on his white horse. Smile at the charming Lucia pageant. 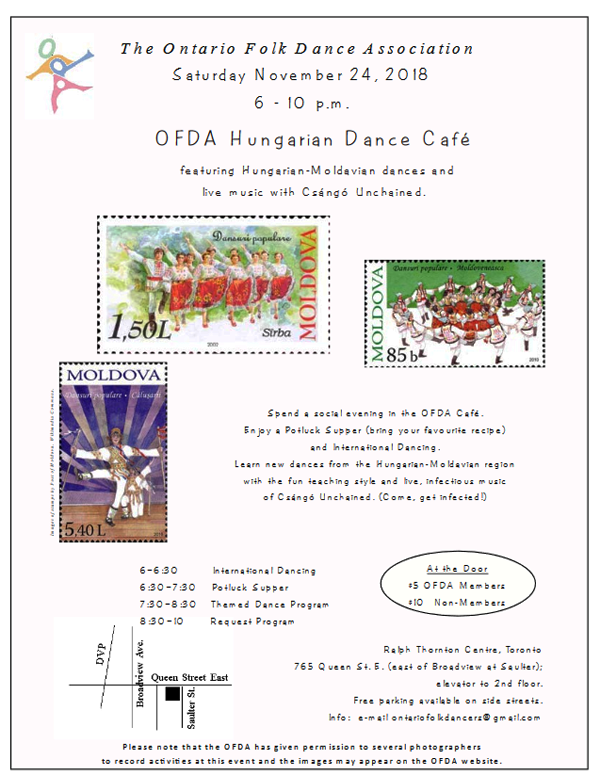 As usual we try to include as many different cultures as possible and a wide range of different kinds of events. We hope you will find a venue close to your home. Most of the following are free or nearly free. Africa. Canada. Waleed Abdulhamid & Friends: From The Nile to the Don. November 24. Doors open 7:30pm, show starts at 8pm sharp. Tickets $20 in advance, $25 at the door. Small World Music Centre, 108 Shaw Street. This is a combination of the ancient rhythms of Africa with the jazz harmonies of modern times.” Videos on: http://smallworldmusic.com/shows/waleed-abdulhamid-friends-nile-don/. Arab. Egypt. Nile Club’s 31st Gala Dinner. Celebration of 10 nominated Terrific Women and announcement of 2018 Scholarship Award winners. Saturday, November 24. Reception 6:30-7pm; Dinner 7:30pm; Ceremony 9:15pm. Price for adult members $50 and Non-members $60. Children 6-13 $35, and children under six are free. Entertainment. Grand Victorian Convention Centre, 175 Derry Road East, Mississauga. 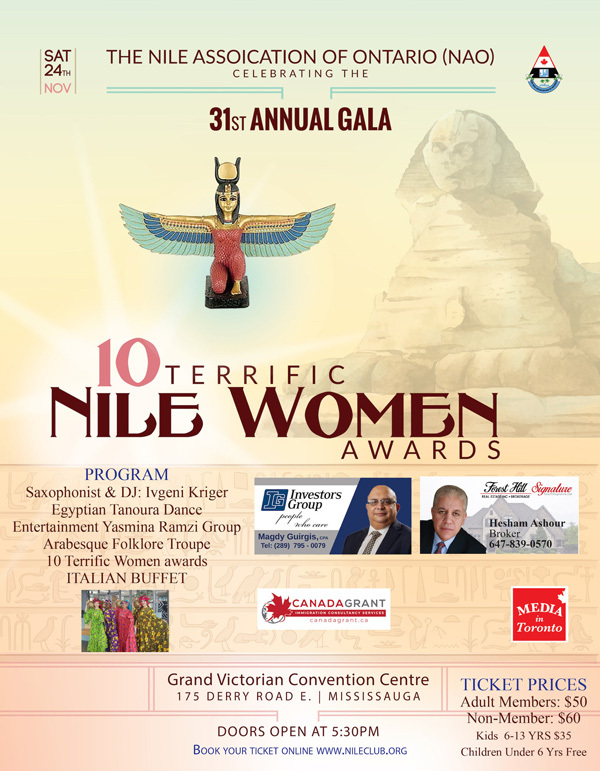 Family and friends of The Nile Association of Ontario are encouraged to attend as well as sponsors, supporters and non-members. http://www.nileclub.org/eventdetail.aspx?id=97. Christian. Ian Sadler, Organist in Recital. November 25. 4pm. Free. 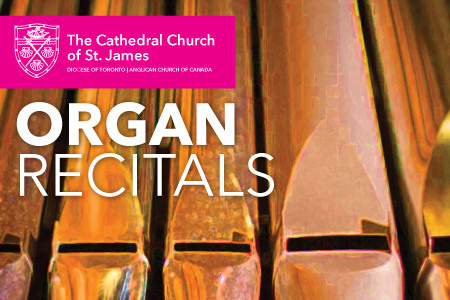 The “Twilight Recital”, Cathedral Church of St. James, 106 King Street East. https://stjamescathedral.ca/sadlernov25/. India. Sikh. Guru Nanak Gurpurab – Guru Nanak’s Birthday. November 23. This is a good time to visit any of the Sikh temples in our city as hundreds of worshipers go to pray, meditate, and feast. Free vegetarian food is available to all. 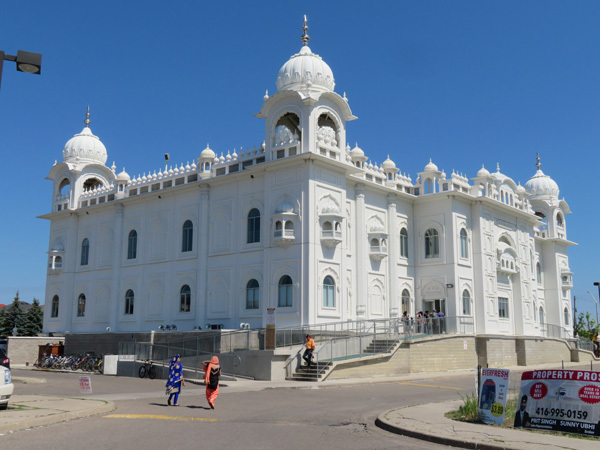 My favourite Sikh temple is the beautiful Gurdwara Dasmesh Darbar Sikh Temple, 4555 Ebenezer Road, Brampton. But there are many other Sikh temples around our city. For other Irish events, subscribe to Maureen Oleary’s newsletter at: moleary2001@rogers.com. Italy. Food in Federico Fellini’s Drawings. Public opening of exhibition. Sunday, November 18. 5pm. Free. Columbus Centre, 901 Lawrence Ave West. Exhibition continues to January 13, 2019. “Childhood, dreaming and food are at the root of Fellini’s work. The drawings of the exhibition… consists of 19 works of art produced by the director at different stages of his career, not all of which were made to explain a scene or a costume to the people he was working with.” Fellini’s films include: La dolce vita (1960) and La strada (1954). For other Italy-inspired events in Toronto: https://iictoronto.esteri.it/iic_toronto/it/gli_eventi/ (and click on “eng”). Jewish. Noshfest. Channukah Market. November 25. 10am–4pm. $0-$18. The Warehouse at Downsview Park, 35 Carl Hall Road, Unit #2. 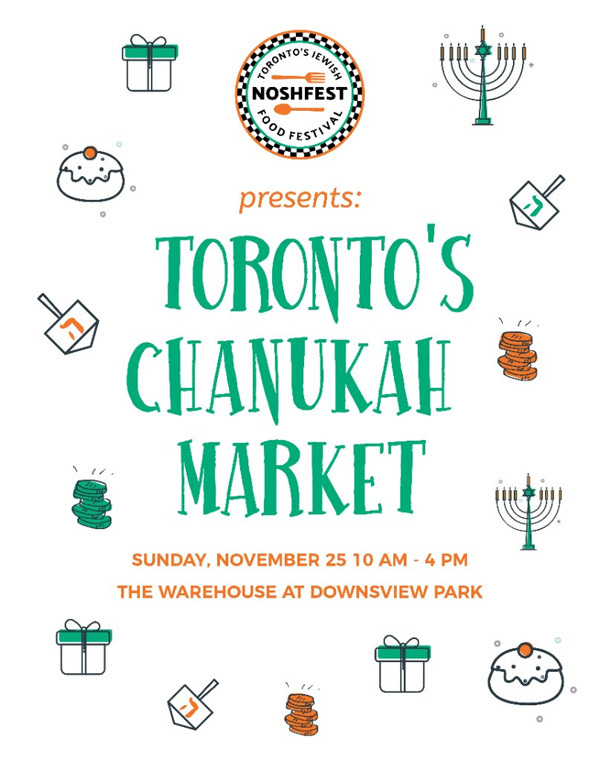 “A celebration of Jewish food and culture, with vendors selling Chanukah gifts, Judaica, toys, decor, and more. Entertainment and cooking demonstrations.” For more information: https://bit.ly/2QP6XTN. Multicultural.Netherlands. Toronto Christmas Market. Distillery District, Mill Street. Singers and dancers. Scroll through its calendar for multicultural performances inspired by Italy and Germany (November 24), Estonia (December 1), Sweden (December 2) and Ukraine (December 22). 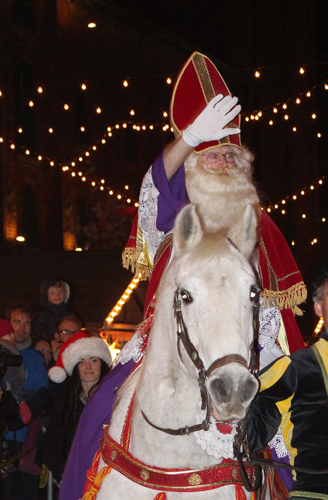 On December 4 at 6pm, the Dutch St. Nicholas/Sinterklaas will arrive riding a white horse and “the gathered children will learn who has been good all year”. Sinterklass Arriving at Christmas Market. Copyright ©2017 Ruth Lor Malloy. Palestine. Lunch and Learn. 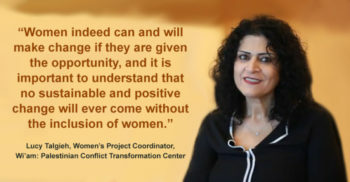 Conflict Transformation in Palestine. November 25 after the 11am service. Snell Hall, St. James Cathedral, 65 Church Street. A light lunch will be provided. Sweden. Swedish Christmas Festival. Lucia Pageant and Toronto Folk Dancers and Singers. November 24 and November 25. Free. Harbourfront York Quay Centre, 235 Queens Quay West. 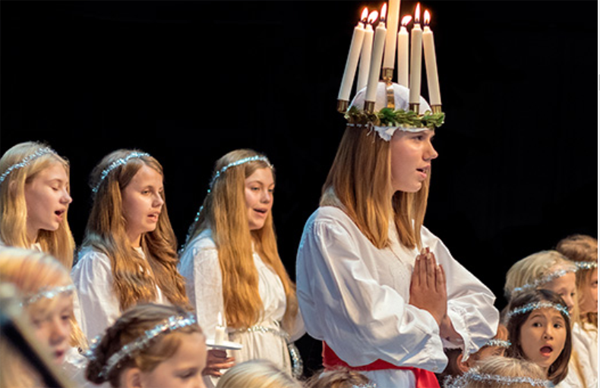 “Children singing carols at the Lucia Pageant, discover the story behind IKEA founder Ingvar Kamprad, and participate in folk dancing, craft making and more. Scandinavian food and a drink of glögg. Imported handmade crafts, unique Christmas décor, textiles and tasty Swedish delicacies.” http://www.harbourfrontcentre.com/swedishchristmasfair/. Toronto. Outdoor Ice Skating Rinks. 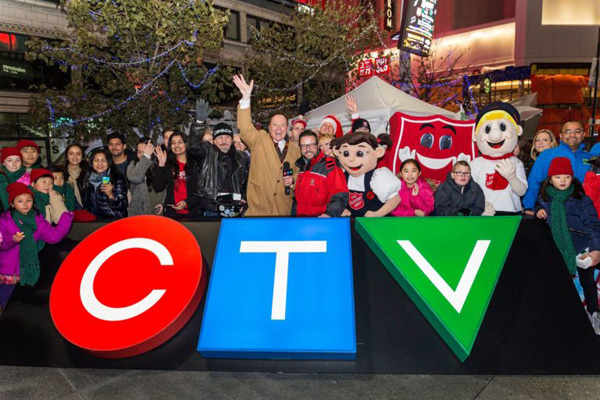 Open for the season and operated by the City of Toronto, these can be a lot of fun. Weather permitting, most will open November 24 for the season. A few will commence on December 1 and all will continue until February 24 or March 17, 2019. Free. 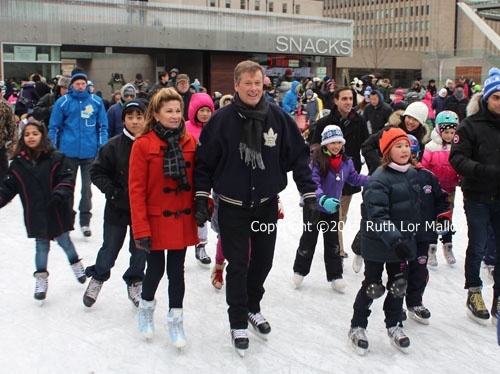 Ice skating is a traditional Toronto sport that helps us enjoy our cold winters, a joy we share with many other countries. Many rinks rent out ice skates and provide lessons for a fee. In this 2006 film Edward Burtynsky focused on our urbanizing world and makes some of us wonder if we have much of a future on this planet. His latest exhibition Anthropocene is continuing at the AGO until January 6 and is worth seeing. Image of Sudbury, Ontario, by Edward Burtynsky from the AGO website. 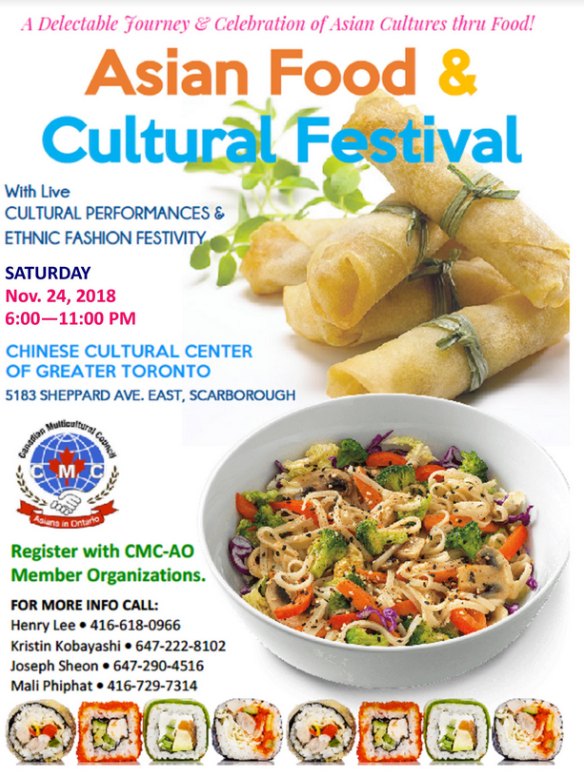 Note from Ruth: TorontoMulticulturalCalendar.com chooses to promote events that encourage a feeling of community in our culturally diverse city. Mention doesn’t mean endorsement as we try to include events we think readers will find stimulating in the cultures of other groups. If you go to any of our mentioned events, please send us corrections or an account of your impressions so we will know whether or not to mention these events in future. A fabulous selection, Ruth. Thanks for doing the search and providing the list of these intriguing opportunities.